Color Reflections Las Vegas is proud to announce their partnership with Elite Art & Framing, the leading Custom Frame Shop in Las Vegas. Through this relationship Color Reflections Las Vegas offers custom framing and hanging services designed to professionally present your treasured artwork, memorabilia and photographs. With over 30 years of experience framing valuable prints, you can rest assured your precious items will be properly preserved while displayed in a professional manner. 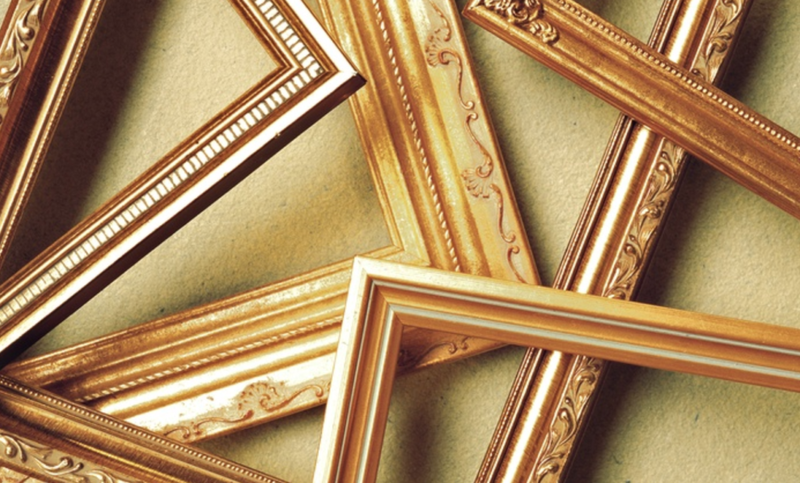 Elite Art & Framing offers unique and creative picture framing designs to showcase and preserve your memories and heirlooms. When you frame with us, you know that your project is going to be beautifully designed and impeccably crafted. We understand how important and valuable your treasures are, and we handle your items with care and respect. Call us or stop by our showroom today for more information on our full line of services. HOW DOES THE FRAMING DESIGN PROCESS WORK? Each project we work on is unique and each client has different goals with their custom framing. We sit with our clients to discuss framing options, such as colors, materials, and other design features. Our consulting services also include hanging techniques and providing measurements for multiple framed pieces on home or office walls. Our skilled designers will guide you through the frame design process, helping you choose the materials that best enhance your artwork and your decor. We believe that the goal of great framing design is to focus attention on the image. The design process is most effective when it is a collaborative effort and we are happy to explain not only what we recommend, but why we recommend it. Quotes are given cheerfully on the spot, and you are welcome to take samples home. Consultation is also available for both residential and commercial clients. 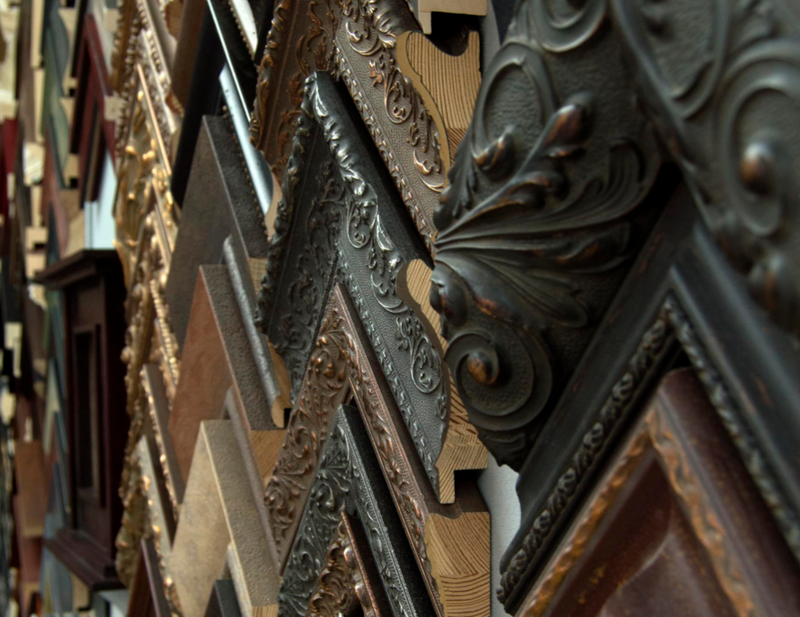 What Separates Elite Art & Framing From Other Custom Frame Shops? We aren’t those big-box retailers that hire non-skilled staff with no experience in custom framing. We are an experienced, hands-on company that provides individualized service for each of our customers. 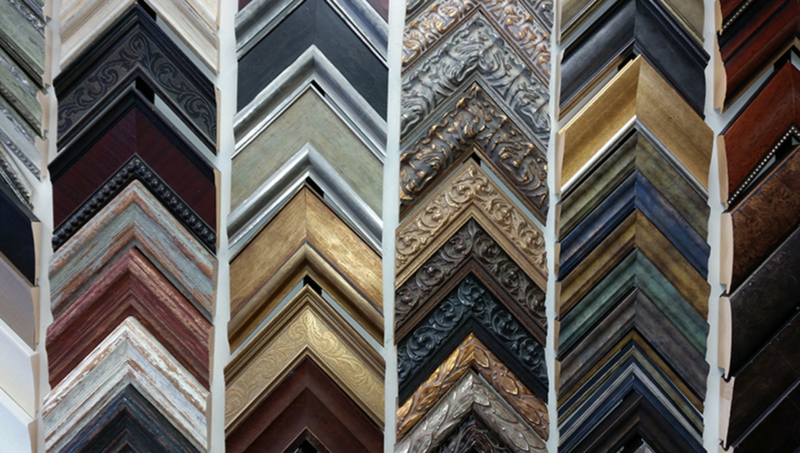 With over three thousand frame corner samples and mat choices, we can create the perfect framing design. Whether it is your child’s first finger painting or your Master’s Degree from Harvard Business School, we have the right frame for the job! Choose from thousands of fabrics like linens, suedes, and raw silks to cover mats and liners and hundreds of fillets to add the finishing touch to your masterpiece. We offer competitive prices with quick turnaround and available delivery and installation. The same professional attention to details that Color Reflections Las Vegas displays every day is what you will find with Elite Art & Framing. Elite Art & Framing follows proper preservation practices to ensure that your project can be displayed and enjoyed for a lifetime. Our hard-working staff has years of hands-on framing & design experience. We use a state of the art computerized mat cutter to meet the most demanding standards. We don’t settle for ‘good-enough’ – our quality is the best. We are more than happy to help art galleries and other retail businesses with your custom framing and fine art needs. Just reach out to us for more details! Contact the Experts at Color Reflections Las Vegas and Elite Art & Framing by calling us at (702) 435-0044 or (702) 262-9300. We are conveniently located just off the Interstate 15, in the center of Las Vegas: 3560 S. Valley View Blvd., Las Vegas, Nevada 89103.